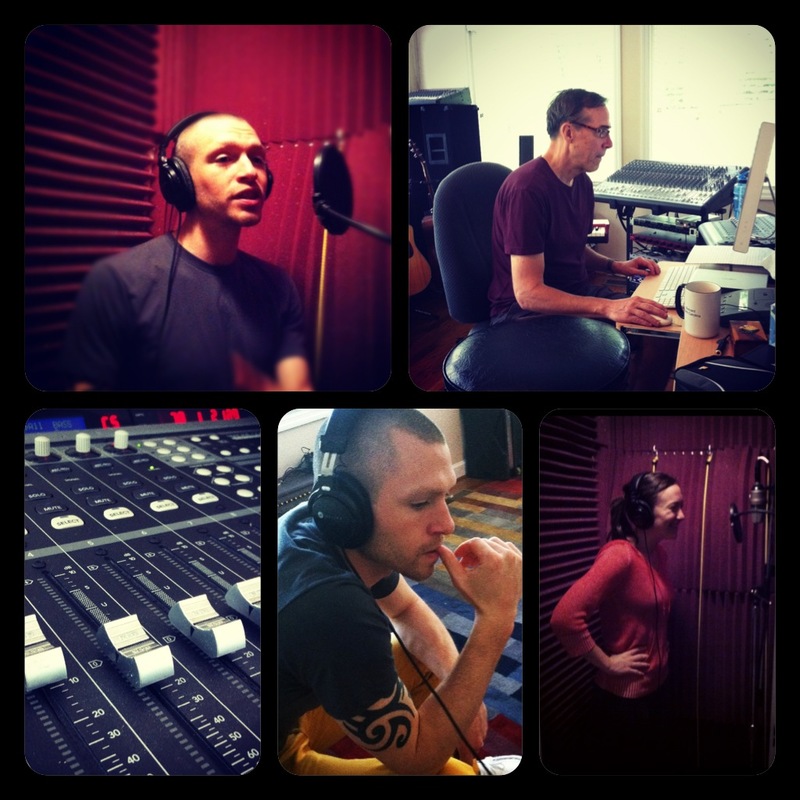 So a few years ago, my daughter Leslie Rodriguez (then Leslie McClure) recorded her second CD in the studio. 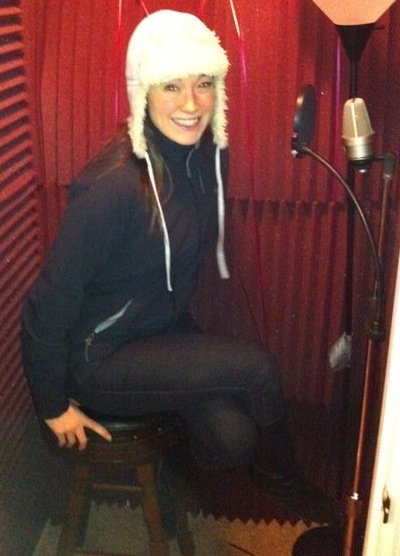 We did it before I had installed the vocal booth in the studio. I was trying some new tricks for that CD, focusing on a very “Americana” sound, but with a very soft, almost airy, and very open sound palette. 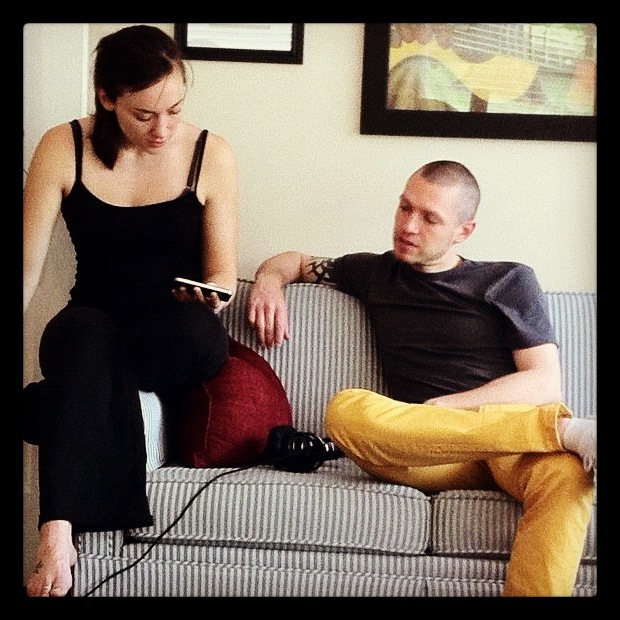 We also scaled down the instrumentation to a minimum – so that the song, and her voice would be central. I enjoy reading the mixing reviews in Recording Magazine, just to see what other studios are producing, and what other well-known studio engineers think of these mixes. I decided that I’d send one of Leslie’s songs, Meu Lindo to have reviewed. I never thought of it again. Then, a couple of months ago, I was reading the “review” section, and there it was! A very complimentary review of the recording. Here’s the link. Check it out. Of course! They would pick up on the “room ambience” issue – pretty smart. If the vocal booth had been finished, this would not have been an issue. In case you’re interested, Leslie now sings with the band Humming House. Leslie (my daughter) is a talented young photographer, writer and vocalist. She wanted her second CD, Back Home to You, to be a little different. While filled with her usual bluegrassy, folky, Spanish-laced original music, she wanted to include several covers – long time favorites by Peter Rowan (You Were There for Me), Patty Griffin (Useless Desires), Alison Krauss (It Don’t Matter Now), Julie Lee (Many Waters), and Josh Wolak (Fell Out). All of these songs are wonderful, and really fit in nicely with her own music. The sonic palette we were after might best be described as “acoustic silk.” We wanted the musical background to be soft, transparent, understated, but musically interesting. Leslie wanted me to provide the acoustic guitar, bass, mandolin, and keyboard tracks. To save money, I would do some of the lead guitar work on my Alvarez S-Yairi dreadnaught and on a half-sized guitar called a Papoose, made by Tacoma guitars. 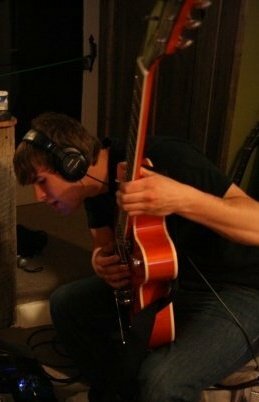 Nathan Dugger, a friend of Leslie’s from her days at Belmont University, who has since gone on to play with Marc Broussard and Drew Holcomb and the Neighbors, provided lead guitar work on You Were There for Me and Useless Desires. Nathan came by the house and I recorded him in stereo, using the TLM 103 about 10 inches from his bridge, and an AT4041 about 8 inches off the 16th fret. I used this same configuration to record my own guitar tracks. Nathan did a first rate job with two very difficult songs. 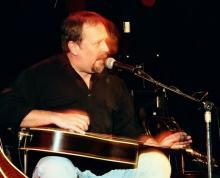 Kevin Maul provided Dobro work on the more bluegrass-oriented songs, Sarah Taylor and Fell Out. Kevin has performed with Soul/Blues icons the Holmes Brothers and has shared the stage with people like Greg Brown, Tim O’Brien, voodoo blues king John Mooney, Mary Chapin Carpenter, Vince Gill, Chet Atkins, dobro master Jerry Douglas, and the Everly Brothers. He’s been a frequent guest, along with Robin and Linda Williams, on Garrison Keillor’s “A Prairie Home Companion” radio program as well as Mountain Stage, E-Town and Austin City Limits. Although I’ve recorded Kevin in the studio before, this time he mailed his tracks in from his home studio in upper state New York. He did a great job of getting the feel for the songs. Leslie wanted acoustic double bass on the CD. I don’t play double bass, so I sampled a note from an old Bill Evans CD and spreading it across the keyboard of the EXS24 sampler in Logic. Worked pretty well. We decided that the only “drum” on the CD would be the chop of a mandolin on several more upbeat songs. I don’t play mandolin. Again, I sampled a chop from another recording provided by mandolinist and guitarist Mark Hill and used the EXS24 to play the mando chops. The results were pretty nice – not perfect, but overall fairly effective and musical. Recording Leslie’s voice is always difficult. She is a powerhouse, and controlling the transients that nearly leap out of the speakers is not easy. Her good friend Carson Leverett, in a course on music tech at Belmont, had built a crazy looking preamp modeled exactly after a Manley Tube Preamp. It turned out to be just the ticket. 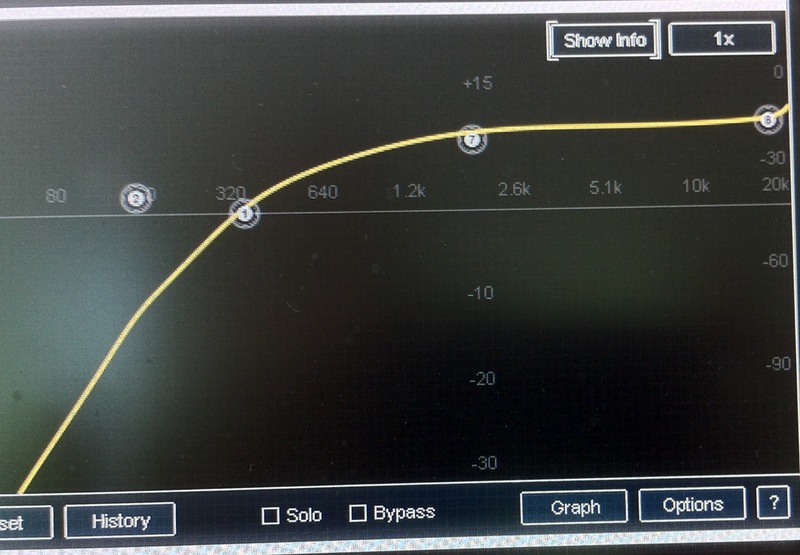 While capturing her voice beautifully, it also seemed to have a kind of natural compression built into it that kept her peaks in range of what my FMR Compressor could deal with. I didn’t use much compression – just a tiny bit of limiting, and the result was lovely. Given the very limited budget, and the fact that I had to cover musical instruments that were not in my repertoire, the CD turned out beautifully. Check out a cut HERE.